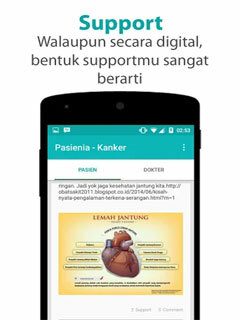 As the first social media for patients in Indonesia, Pasienia mission is to spread hope for the patient to recover by offering two main features of the timeline timeline patients and physicians. 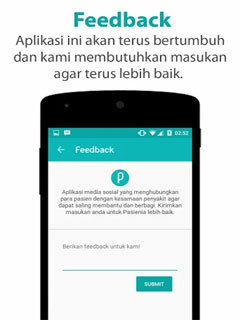 With the patient timeline feature, users can share about curhatan, experience and the development of their health. While going through the timeline doctors, all doctors who deal with the disease specifically, will share the content of beneficial health effects for patients such as tips, infographic, even the latest data about the disease experienced by the patient. Manner of operation is quite simple, patient, write down whatever is being difikirkannya, sharing pictures or mutual commenting on one another as other social media. Later, the user will get the response and support of the patient / family / doctor incorporated in this application. 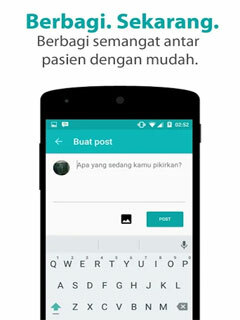 The spirit of sharing to others!